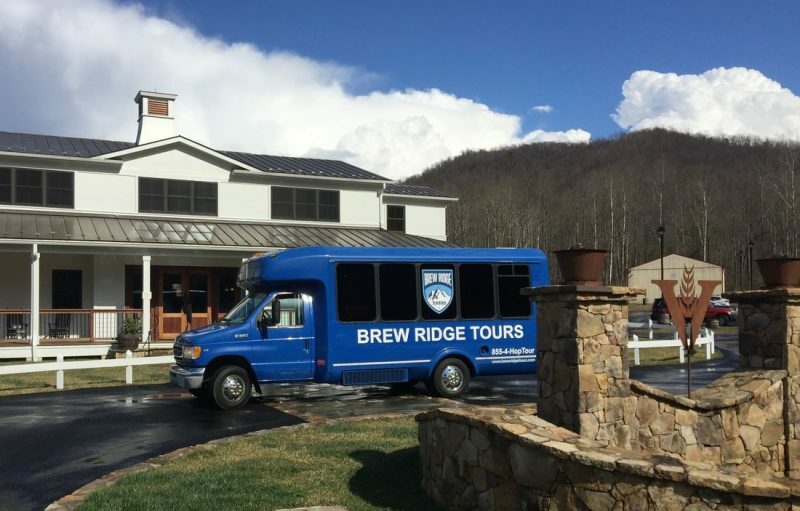 Brew Ridge Tour Bus at the Virginia Distillery. The Brew Ridge Trail has been “open for business” since 2008. Have you experienced it yet? If not, the next few weeks will be a perfect time. The weather will start to cool, the leaves will start to turn, various fairs and festivals will be found, and the beer tastings will be delicious. The safest way to enjoy our wineries, distilleries, breweries and ciders. The Brew Ridge Trail is a self-guided visit to 6 breweries in Central Virginia. You can visit any brewery, in any order, during their regular business hours. All of the Brew Ridge Trail locations can be found on their website www.brewridgetrail.com, along with directions. Download the map, plot your trip and hit the road. The breweries work together to promote the trail, collaborate on unique and varied beers, present special events at the breweries and share ideas and promotions that benefit them all. Tastings and samples are offered at each location for a variety of lagers and stouts, along with seasonal and/or monthly specials. Hours of operation vary according to the time of year and day of the week–check out their websites or give them a call. 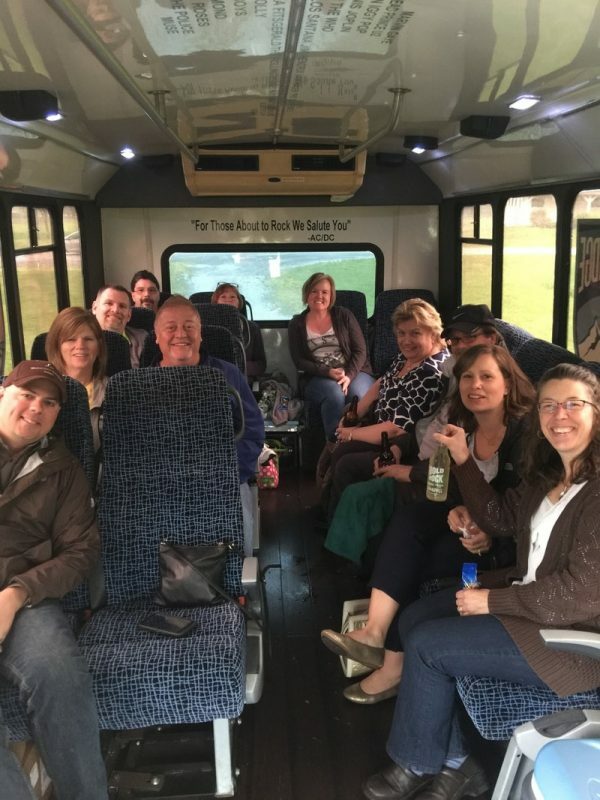 If you would like to enjoy the tastings without the hassle of driving Brew Ridge Tours may be just the thing for you. Operating out of Lynchburg they let you do the tasting and they do the driving. Their tour pick-up locations are in Forest at Bräuburgers and in downtown Lynchburg at The Water Dog. For guests staying at The Carriage House Inn Bed and Breakfast we will drive you to/pick you up at The Water Dog. Responsible drinking is appreciated by all. For more information about any of the above breweries or tours contact the vendor involved. Enjoy! The first annual Lynchburg Food Fest is scheduled for Saturday, May 20, 2017 in Riverfront Park in Downtown Lynchburg, Virginia. 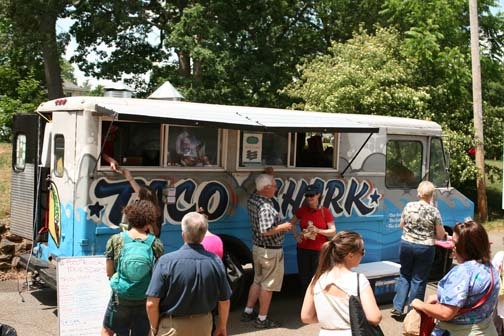 The “foodies” of Lynchburg will be rejoicing as they sample their way through the best of Lynchburg’s local cuisine and drink during the hours of 11 AM until 5PM. Experience the tastes of over 50 local restaurants, food trucks, artisan food vendors, catering companies, breweries, cideries, wineries and more. At the food vendors you will be able to try samples or select full menu items. The 9 breweries and wineries, along with the cideries and Virginia Distillery Company will be offering tastes. Food vendors participating include: Taco Shark, The Water Dog, Cheesy Rider, Altus Chocolate, The Frosty Penguin, Sourdough Pizza Company, Marilyn’s Creamery and many more. The drink vendors include: Apocalypse Ale Works, Loose Shoe Brewing Company, Blue Mountain Brewery, Starr Hill Brewery, Goose Island, Devils Backbone, Bold Rock Cider, DeVault Vineyard and more. The event is family-friendly and will offer a “kids zone” featuring bouncy castles, a temporary tattoo station, photo opportunities and more fun activities planned throughout the day. Live music will be presented all day. If you bike to the event you can save $1 off your admission ticket. Bike parking will be provided by Ride Solutions and Greater Lynchburg Offroad Cyclists. Admission is $5 with kids 12 and under free. Food tastings range between $1-$3. For more information visit foodfest@downtownlynchburg.com.